Been quite a week for me, seems like nothing can go quite right and every boat I own is having issues. I spend all winter in our shop working a preparing boats for the next season, you would think once spring arrives and boats are in the water, everything would go according to plan, wrong…. I guess the good news is most of the issues were minor, things like bilge pumps, fuses, alternator and a new kicker motor for the KingFisher. Oh well, maybe now we are ready for the season, oh ya, maybe a couple new 150 Verdaos might be on order. Let’s forget about the boats and talk about fishing this past week. 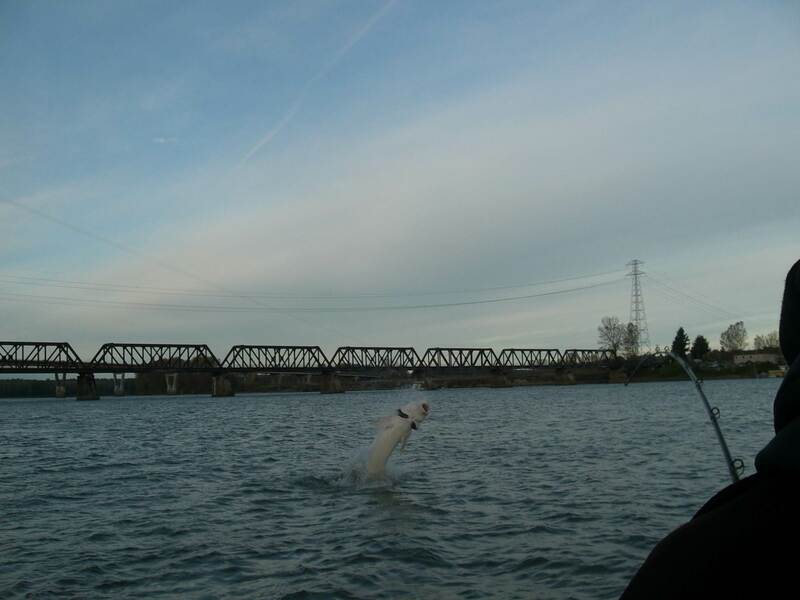 Lots of talk about a 11ft 6 inch Sturgeon caught by a local angler in the Mission area last week. 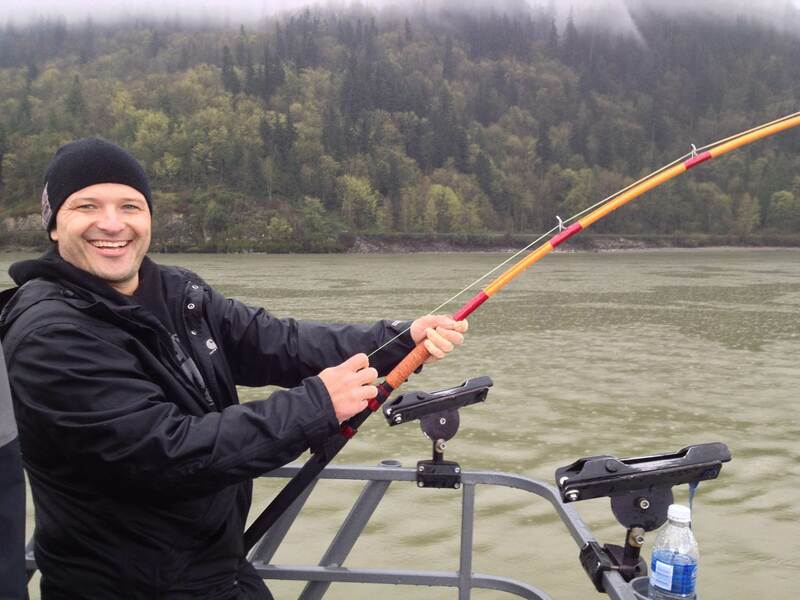 News spread like wildfire on the internet so fishing pressure was a bit higher than normal in Hatzic Flats area where the big one was caught. I think I can say that Spring Freshet has officially begun as water levels on the Fraser have risen from 3.7 meter on April 3 to 4.5 meters on April 10. On Saturday April 6 we saw a big push of sticks and logs in the river but it has since cleared up and the river was in pretty good shape yesterday. 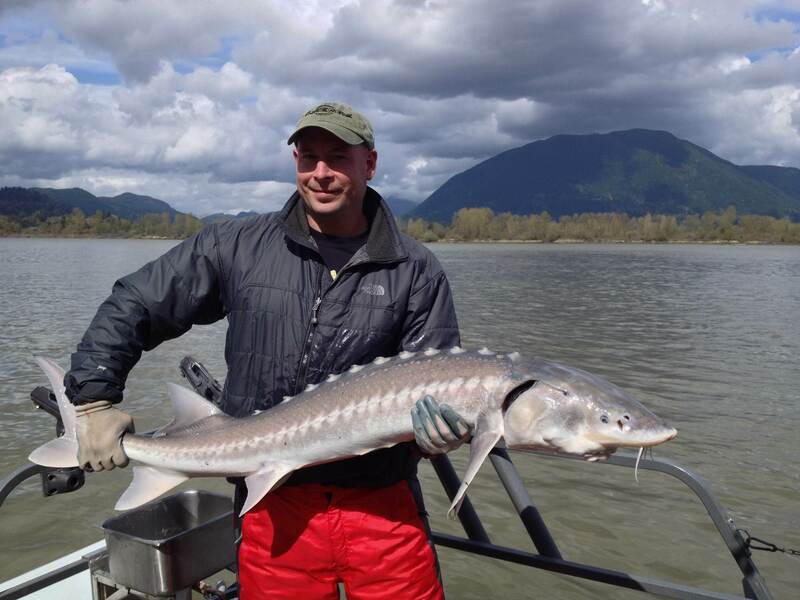 Fraser River Sturgeon – Sturgeon fishing has been inconsistent for the most part, one day you get 7 or 8, next day 3 or 4. The past few days fishing has slowed, probably due to cold weather front and the rise in river levels, yesterday we fish from Mission to New Westminster with okay fishing but nothing to get too excited about. Walt hooked a big 8ft sturgeon yesterday but unfortunately it was not hooked properly so they got punished trying to let him go. I took a run down to the Alex Fraser yesterday afternoon to see if there was any signs of Eulichons in the river, didn’t see much going on so my guess is that it is still a bit early. Sturgeon fishing will improve considerably over the next few weeks as weather and water temperatures begin to rise. Watch for pods of seals feeding close to shore and sturgeon breaking surface as these are two good indications that Eulichons are present in the water. Best boats this week have been Lamprey but we have got fish on Salmon eggs as well. Our bookings are sold for the last two weeks of April and most of May but we always have more room to get you out on the water. Vedder Steelhead fishing has been pretty good this past week, water levels are up but lots of fish getting caught on both fly and gear. As water levels rise, access to the Vedder becomes more difficult so this is probably going to be the last kick at the can before the season is over for most anglers. May 1st and the Vedder will change to Fly Fishing only , the only downside is that water levels are often too high to access the good water. 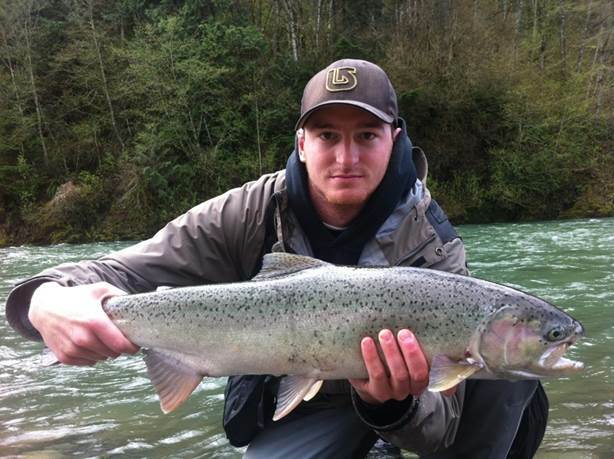 STS Guide Braeden Szlabon has been working the Vedder hard this week, some great catches to show for it. April 27 Hells Gate Tour still have 4 seats available, if you would like to join us for this wild and crazy ride, the cost is $129 p/p. The trip departs from Hope and is about 4 hours in length. 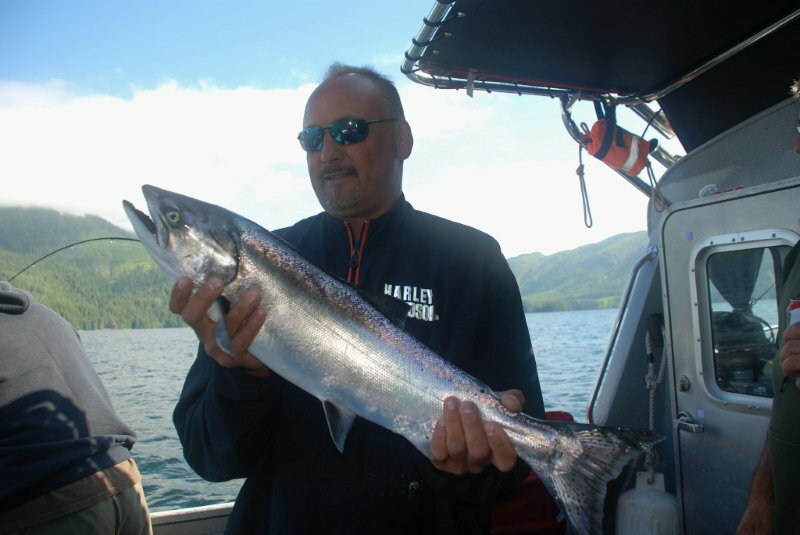 Vancouver Salmon Fishing has been up and down this past week, we have seen some good reports coming from QA to Bell Buoy area and South end of Bowen Island should start to pick up in the next week or two. Crab and prawn fishing has been excellent so great time to get those traps out. We do drop crab traps on all trips but prawn traps only on 8 or 10 hour charters. The reason for this is that prawning takes considerable time away from fishing so it just doesn’t make sense to drop them on 6 hour charters. 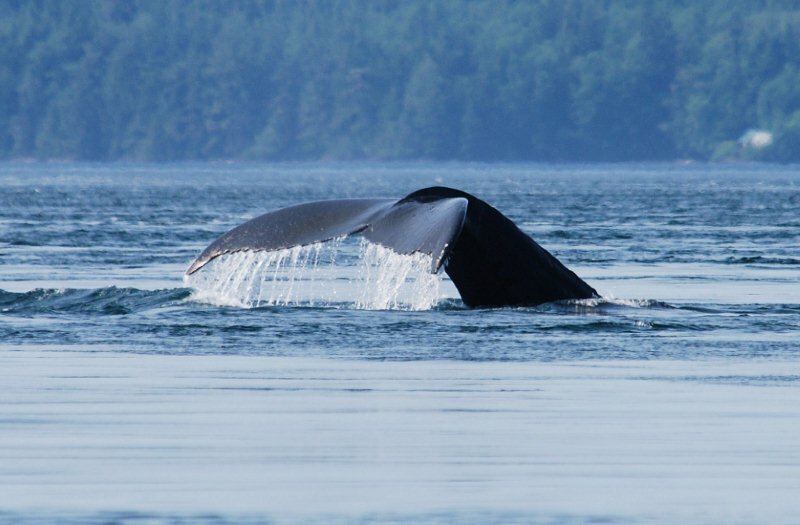 We have quite a few trips going out over the next two weeks so if you are looking to get on the water, give us a call. 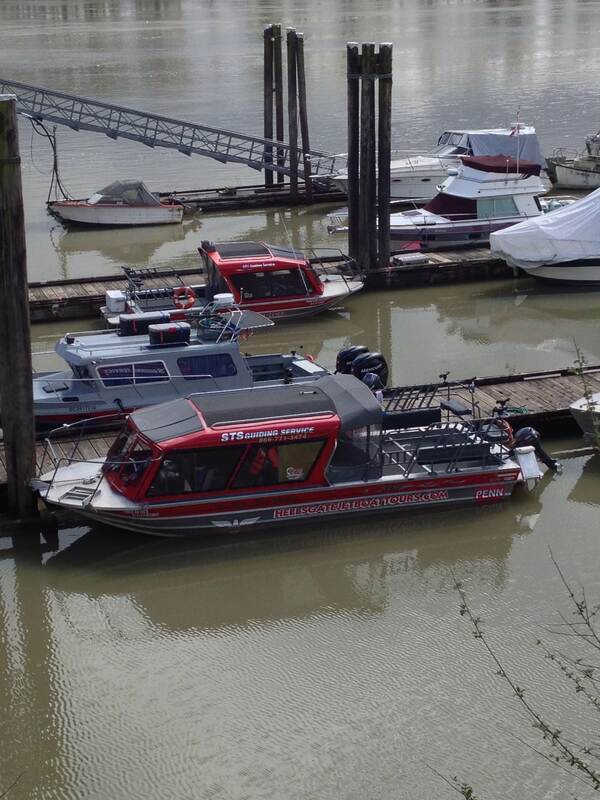 Our saltwater boats are moored at the Delta Hotel in Richmond so we are only minutes away from the prime fishing grounds.